When you are in pain you need a professional, effective and friendly service you can trust. At Perea Clinic, we offer the highest quality care in a relaxing environment. You also need someone who listens to your specific need. We provide an individualised service combined with the most thorough aftercare because your results really do matter to us. This level of service requires a team of highly-skilled, versatile and approachable staff. We offer expertise in many different fields. These include various hands-on therapies such as Deep Tissue Massage, Sports Massage Therapy and Manual Lymphatic Drainage (MLD). We can offer physiotherapy, osteopathy, and myoskeletal alignment, and can give you expert guidance on nutrition and weight-loss. And of course, no clinic would be complete without Pilates. We focus on the individual so we offer 1-1 mat pilates as well as 1-1 reformer sessions. 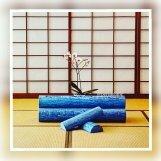 With such a diverse range of skills under one roof, we are able to combine these techniques as needed, to provide you speedy injury recovery, pain release and relief from chronic tension. Our focus is on getting you the results you desire quickly and effectively. We are conveniently located close to the Angel station in Islington (N1) but are equally happy to provide treatments in the comfort of your own office. Whatever your need, contact us today and see how we can help. Would you like to win two sports Massages? Click here to see how you can take part! Your insurer might be willing to recognise these bodies and your policy may cover the cost of your session. Please contact your providers for further information. These are our top treatments. Finding what works for you. Physiotherapy helps regain some of the lost movements that can result due to injury or muscle tension. Osteopathy is a hands-on treatment to detect, protect and treat for a range of health conditions. Training for the marathon or another sports event? Prepare your body before and after a competition to help performance and sustain from injury. Mat classes taught by skilled instructors or qualified physios. We understand that your treatment is important, so we make sure it is personal. We mix together different types of treatment. For example, we might combine a sports massage with a remedial one. The type of treatments varies for different conditions. By doing this we are effective in treating many problems, from chronic tension to joint problems. In fact, we can help with sports preparation and pain management. We can help with stress problems, muscles aches and stress relief. The bottom line is this, if you are in any discomfort, we can probably help. We have offers for referring us to your friends or buying a package of treatments. We also run a number of seasonal offers. Choose an amount you’d like to put on the gift card. Don’t need to worry if someone wants to change the treatment selected or top up the value, that’s absolutely fine! "I got a therapeutic massage from Yanesh yesterday. It was tough but I do feel so much better today. I'd recommend it if you do a lot of exercise or if you're feeling stressed, it really helped! Thanks so much, I'll definitely come again." "Rosario gave an excellent deep tissue massage, explaining the science behind the different positions and techniques he used when I asked. He was very knowledgeable about his profession and made me feel relaxed and comfortable. My neck pain has now gone away, after only one treatment." "I went to Yaneth with a specific problem that needed immediate treatment. The work she did on me certainly worked. I normally prefer a little more aggression when having a sports massage but to be fair I didn't actually tell her this. She was on time, friendly and offered me advice on prevention after the massage"
"My back felt so much better after the deep tissue massage." "One of the most professional massages I have had in London. Dave took the time to understand my needs and tailored the treatment to me. It was not a one size fits all approach and he concentrated where really mattered- whilst giving tips to avoid recurrence." "I went in for a technical but relaxing massage and ended up learning about how the muscles work, including that the dull pain in my left knee is muscular and the reason why my muscles are more tense on my right calf. Really strong and knowledgeable masseuse, and they even emailed me with some exercises to release tension between treatments. Will definitely go back!" "I was really impressed by the way the therapist conducted a pre massage assessment of my movement and the specific place where I had discomfort to make sure that her massage was targeted. I was also impressed to receive follow up exercises to do after the massage." "My experience was second to none. I have had massages in the past and not felt entirely comfortable but this was a great experience from beginning to end. I suffer from shoulder and back pain and Virginie has really helped in alleviating pain and teaching me how to relax my shoulders more and how to work on my posture whilst seated. Thank you very much!" "I keep going here because the people are so knowledgeable and professional, and all-around nice people:) I've seen such a dramatic improvement in my muscle tension, my posture, and overall wellbeing since going to them. They will also give you access to an online portal full of stretches you can do at home or even at your desk." "It was a great experience I have been suffering form stress of late so was really tense. The massage was really good. I very much recommend and will be going back"
"The staff was really nice, the treatment spot on and the lady who gave me the treatment gave really good advice. Would go back for sure !" 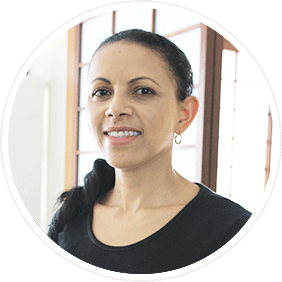 "Yaneth is a very careful and attentive therapist. She listens to your specific issues and then tailors the massage appropriately. Strong pressure and great for removing knots. I would highly recommend"
"Tricky to find. Could do with some signage. But the sports massage was great. Nice staff. Was additionally given exercises to do. Took time and care. Recommend"
"My Therapist was very friendly, knowledgeable and genuinely willing to help. She offered great advice on how I can ease my neck tension and e-mailed me a list of stretching exercises. The massage itself was very relaxing and felt better straight away." "I had a session of Deep Tissue Massage with Yaneth. She was excellent! I am a remedial massage therapist myself and I can tell she has good knowledge of anatomy and musculoskeletal conditions. Yaneth is different. She knows how to treat conditions. Wonderful experience!" "I have disc and sciatica problems so booked in for a therapeutic massage. The room where you have the treatment is clean and calming. The therapist used hot stones and gentle strokes, and tried to work out my muscle knots, and didn't upset my lower back/disc area at all. Would highly recommend for anyone with back, muscle or leg problems." "Probably the best deep tissue massage I've received. Yaneth is a real expert and explained the reasons behind my back pain and gave me valuable advice. I'll be back!" "Another excellent massage at Perea clinic. Had a running injury and Yaneth has eased it with massage and given great advice for preventing recurrence, stretches, using roller etc. I would definitely recommend." "Great massage as always. Yaneth is amazing at what she does! She has helped me work through some chronic tension." "She really is the best at what she does, very professional and also very friendly. The price you pay is worth it." "Once again excellent massage -Yaneth works wonders in your back. I went there with a trapped nerve but she managed to release it - highly recommended." "The venue was nice and very clean. The therapist was pleasant and professional.The massage was excellent, I would recommend Perea Clinic." "As always a fantastic massage from Yaneth! I was suffering from a lot of tension on my shoulders and neck area but this has now disappeared. Yaneth always tailors the massage to your exact needs and tells you the best stretches to help prevent this from recurring. I highly recommend booking a massage here!" "Great professional massage, Yaneth has great knowledge and experience and I always leave feeling so much better after a massage." "Absolutely amazing. A really good massage that has made my back feel an awful lot better. I was also shown stretches that will help minimise pain in the future. I was made to feel very comfortable and would absolutely recommend." "The therapist was very gentle and knowledgeable. The place is hard to find though but I guess it was my fault that I didn't read about how to get there. I will definitely come back." "The therapist was incredibly lovely and extremely skilled! Thank you so much! She even offered advice how to keep back tensions to a minimum going forward." "I had a 55min Sports Massage. Virginie was patient and friendly and took the time to explain what was happening. She was also very accommodating and understanding of pain and discomfort, making the overall experience more pleasant. Strong hands and great experience. I highly recommend"
"Perea was absoutely fantastic. Attentive, through and caring. She knows how to find all your problem areas even when you didn't know they existed. Thanks!" "Yaneth is fantastic. She is very knowledgable and great at what she does. I always come here for my massages. Yaneth also gave me follow up exercises to help with my back too. I recommend anyone to go and see her." "I have now made Yaneth my go-to therapist. She really is amazing, and gets knots and aches out that you didnt even realise you had!" "Top10. I have tried a lot of them an still feeling pain in my back. And with perea clinic today already feeling much bett"
"Absolutely fantastic Massage. 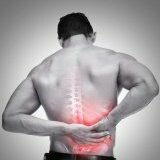 I have had repetitive strains and severe back pains which have diminished greatly within one treatment. She recommended that I do not have the Thai massage but a deep tissue based on my injury, which was probably a very good decision. Thank You Yaneth!" "30 mins of no-frills, straight-down-to-business massage. The staff are very nice. My therapist was very experienced and professional, and she loosened up my shoulders more effectively than other 90 min+ massages I've had. Highly recommend." "Yaneth is a fantastic professional. I have been able to play tennis again!n Thank you Perea Clinic "
"At first I couldn't find the place but then after following the instructions I did make it. You'll need to go right down the little street as by the top of the main road the black gate is not clearly visible. Don't let the different name of the sign fool you (Tatami I think) that's the right place. Christos my therapist carefully listened about my migraine problems and gave me a deep tissue massage. He did really went the extra mile for me to feel better as I had lot of tension in my muscles and nerves that built up over the years of stress. He sent me video for stretching exercises and explained me the errors in my posture giving precious advise. I am definitely return next week for a follow up." "I had a wonderful injury recognition and treatment with Christos Kostas at this clinic. I had an shoulder injury about 30 years ago and had problems to move my arm properly. After a massage and some exercises, my shoulder felt completely different. It was fantastic. I would highly recommend anyone looking for a injury treatment to try Mr Kostas and the Perea clinic. 5*****"
"Excellent service. Would highly recommend this clinic. "I loved my experience at Perea clinic. Virginie was lovely and did a great job. She was very welcoming and was able to give me extensive feedback after the massage and advice about how to progress and continue to look at my body. I cannot wait to go back." "wonderful thai massage. therapist was very skilled (and very nice too!). i will definitely return for future treatments and highly recommend this clinic." "Really good comprehension of the area to treat. Good advise from the therapist. Would strongly recommend this clinic." "Excellent service. Very pleased with Therapist. Will be returning!" "Christos really tried to understand the problems I was experiencing and went out of his way to encompass that in my massage. I received follow up exercises/stretches to accompany the treatment and plan to return for a follow up session"
"Very professional and knowledgeable masseuse!" "Quite simply the best massage there is. Wonderful technique, calming and relaxing. I also had a cupping session which is very strong but rewarding"